Mini Magical Chocolate Chip Cookie Bowls (grain + dairy-free) filled with almond milk ice cream! Nope, you’re not dreaming. We are actually making EIDLBE bowls for us to fill with ice cream today. And it gets better. They are Mini Chocolate Chip COOKIE Bowls! Ya, I know you are grinning from ear -to-ear and I am smiling right back atcha. 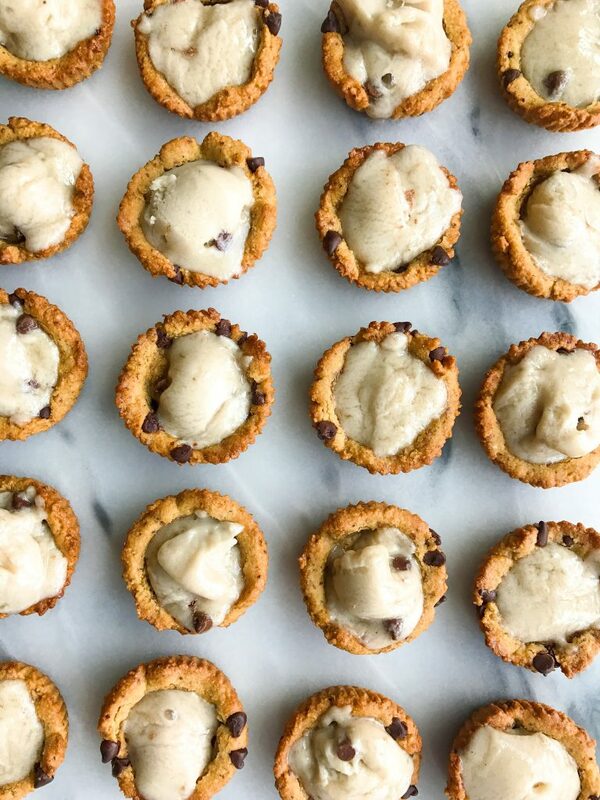 These Mini Magical Chocolate Chip Cookie Bowls are a legit dream. 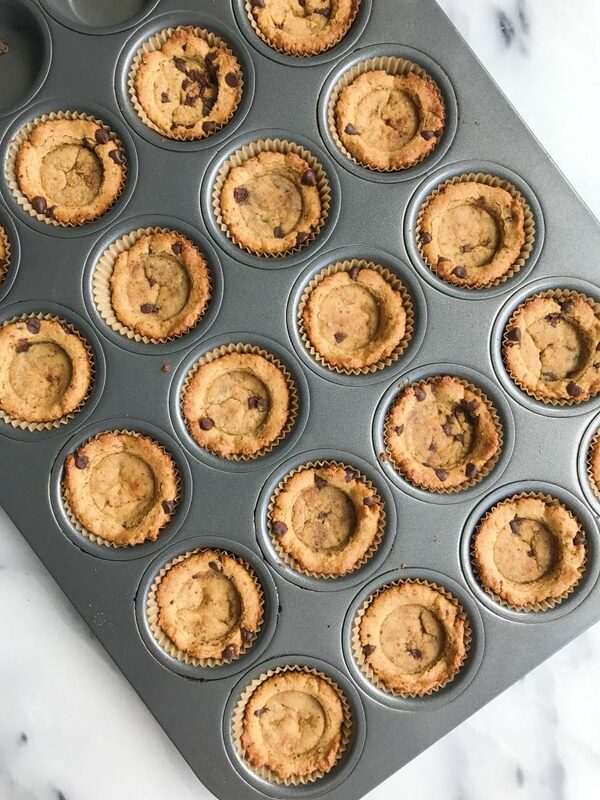 They are made with all simple ingredients for a grain and dairy-free treat and they are stuffed with New Barn’s amazing and organic AlmondCrème. As someone who stays away from dairy for the most part, New Barn’s non-dairy ‘ice cream’ is a game changer. It is an almondmilk ice cream made with their Organic Almondmilk and other organic super-premium inclusions – like coffee beans from Allergo Coffee Company and organic chocolate from TCHO chocolate makers.The taste and texture of their ‘ice cream’ come from more almonds than anything and just a few other ingredients without a lot of gums and added flavors. 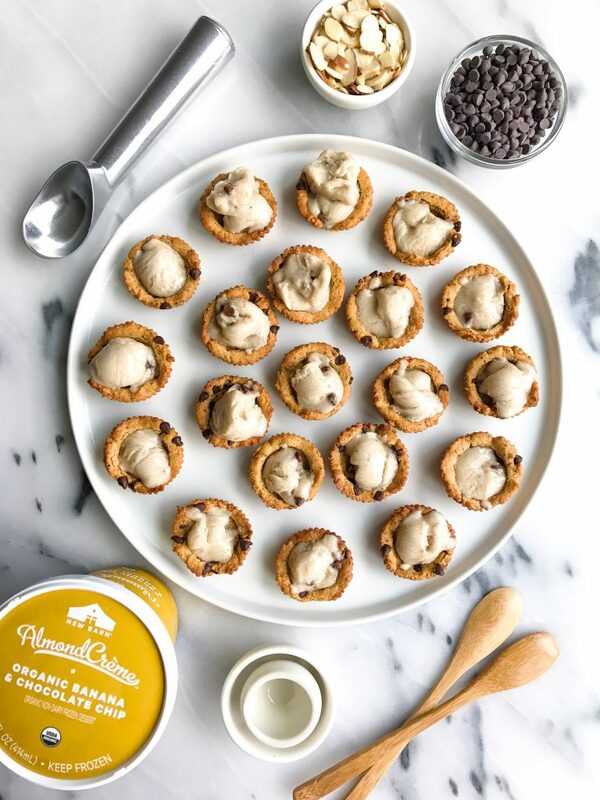 You can eat AlmondCrème as is, add it to your smoothie, make a berry crumble, or obviously eat it out of these Mini Magical Chocolate Chip Cookie Bowls! New Barn’s AlmondCrème comes in Banana & Chocolate Chip (what I used here), Sunflower Butter, Vanilla, Cereal & Almondmilk, Coffee, Chocolate, Gingersnap Cookie and Strawberry AlmondCrème. Endless possibilities here friends. But let’s start with these Mini Magical Chocolate Chip Cookie Bowls. 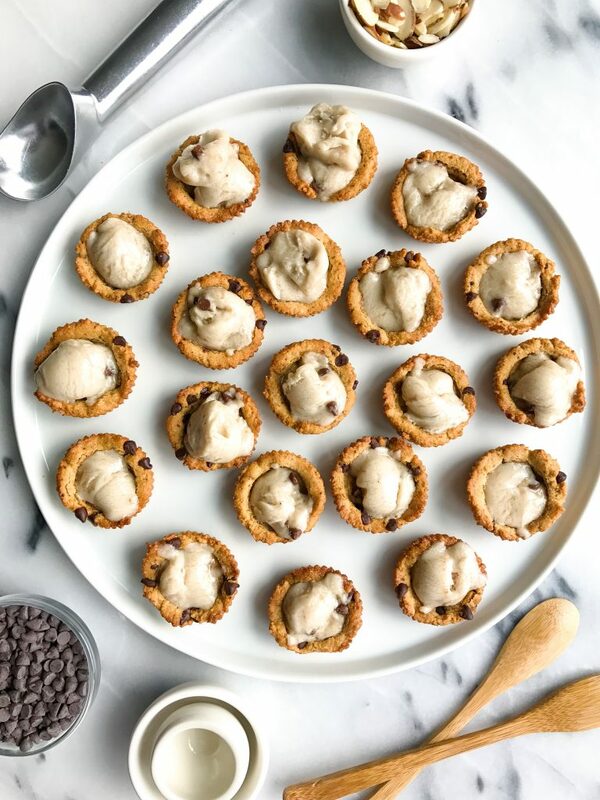 Let the cookie bowls cool then place ice cream on top and enjoy! Thank you New Barn for sponsoring this post. It means so much to me to work with brands that I love and who support rachLmansfield! These look amazing! But as someone with a tree nut allergy, I cannot use almond flour. What alternative flours could I use? These look so soft and delicious!! Just made them, little differ than this pic, but taste is good. I will make often for my family. My sister and I made these for the weekend and they turned out so good! We used normal sized muffin tins so we used 1-1.5 tbsp for each cookie. We’ll definitely be making these again, so yummy!